The Devil is a liar and the father of lies, and the heart of man is deceitful above all things, and desperately corrupt. But impeccable it is not. For example, one of the heroes is an eminent historian called Sir Leigh Teabing. He says, “To fully understand the Grail, we must first understand the Bible … The Bible did not arrive by fax from heaven … [it] is a product of man … not God … and it has evolved through countless translations, additions and revisions. History never had a definitive version of the book. 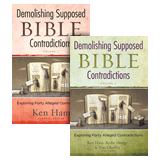 … Jesus Christ was a historical figure of staggering influence … his life was recorded by thousands of followers … more than eighty gospels were considered for the New Testament … Who chose which gospels to include? … The Bible, as we know it today, was collated by the pagan Roman emperor Constantine” (p.231). The plethora of historical fallacies continues unabated but this one-page sample is sufficient to illustrate the point. The Bible testifies of itself that it is indeed “ God-breathed ” ( 2 Timothy 3:16 ). Men moved by the Holy Spirit spoke from God ( 2 Peter 1:21 ), and Jesus said “ Heaven and earth will pass away, but my words will not pass away ” ( Matthew 24:35 ; Mark 13:31 ; Luke 21:33 ). 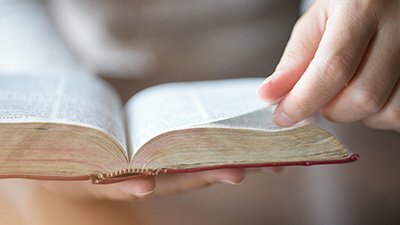 Neither has its meaning been lost or corrupted through “countless translations.” The original languages were Hebrew (OT, with a few sections in Aramaic) and Greek (NT). Modern English versions, for example, are based on meticulously prepared composites of ancient Greek and Hebrew manuscripts, of which thousands are extant. The Dead Sea Scrolls showed that copies of OT books from the first century BC were almost identical to the previously earliest Hebrew manuscripts from a thousand years later, so copying errors have not been a significant problem. No major doctrine is in any way obscured by manuscript differences. History certainly has had a “definitive version”. The Latin Vulgate remained the definitive version for over a thousand years, and the subsequent divergence between Protestant and Catholic versions was based primarily on theological principles, not manuscript problems. 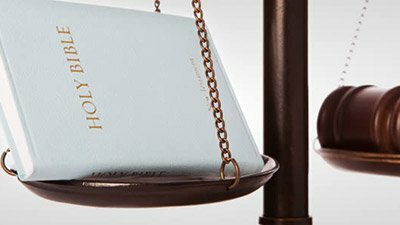 The content of the modern Protestant and Catholic Bibles, except for the few differences in the Old Testament, is all based on similar manuscript evidence. No major doctrine is in any way obscured by manuscript differences. Indeed, the very abundance of similar ancient manuscripts points unerringly to similar original sources. It is misleading to say that Jesus Christ was an “historical person of staggering influence whose life was recorded by thousands of followers.” He was at that time an obscure carpenter who lived and died within walking distance of His birthplace in a backwater of the Roman Empire. His “staggering influence” did not emerge until centuries later, as did the numerous false gospels—after all, there is no point in emulating a nobody. As for Constantine making the choice of Matthew, Mark, Luke and John, the idea is laughable. The gathering of the New Testament documents began within the first century. Paul referred to Luke’s Gospel as “ scripture ’—graphè ( 1 Tim 5:18 cites both Deut. 25:4 and Luke 10:7 as such). 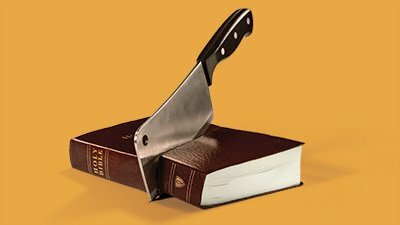 Peter recognized that Paul’s writings were “ scripture ’—in 2 Peter 3:15–17 he refers to them as authoritative and then refers to “ the other scriptures ,” and he warns his readers to beware of those who twist the meanings to their own destruction. For the more knowledgeable, the story really falls apart when Brown claims the Gospel of Mary Magdalene to be an “unaltered” (p.248) and therefore true account of these events (yet even the words he quotes from it betray its fraudulence). However, this Gnostic “gospel” is known only from three fragmentary manuscripts, and dates from the middle of the second century at the earliest. Before this or any other Gnostic “gospel” was written, the church far and wide recognized the authority of the four canonical gospels. But a less knowledgeable soul might easily be duped. Meanwhile, Opus Dei—a powerfully influential Catholic order—knows that their “secret” is about to be exposed and they are determined to silence the investigation—thus the murders. There follows a fanciful reconstruction of Christian history to explain why the original “true” Christianity—which they say was a goddess cult—was displaced by the “misogynist patriarchal” version we have today. “ The secret things belong to the LORD our God; but the things that are revealed belong to us and to our children for ever, that we may do all the words of this law … For this commandment which I command you this day is not too hard for you, neither is it far off. It is not in heaven, that you should say, ‘Who will go up for us to heaven, and bring it to us, that we may hear it and do it?" Neither is it beyond the sea, that you should say, ‘Who will go over the sea for us, and bring it to us, that we may hear it and do it?’ But the word is very near you; it is in your mouth and in your heart, so that you can do it. ” (Deuteronomy 29:29; 30:11–14). The reason it was near to them was because God ensured it was written down for them ( Exodus 31:18 ; Deuteronomy 31:9–13, 24–29 ). There is no room in Christianity for hidden fundamentals. Hidden depths, certainly, but God has made the fundamentals clear to us in writing so that we are without excuse if we do not heed His Word. According to Jesus, the standard of judgment is the Word He has already spoken to us ( John 12:48 ). 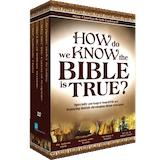 It logically follows that God will have provided a reliable record of that word for us, and true history testifies that it is so. But beware of gifted novelists able to use their God-given talents in an attempt to undermine and deny His Word. Schaff, P., History of the Christian Church, Vol.II Ante-Nicene Christianity A.D. 100–325, Eerdmans Publishing Co., Grand Rapids, 1910 & 1992, Ch. 138, pp. 516–524. 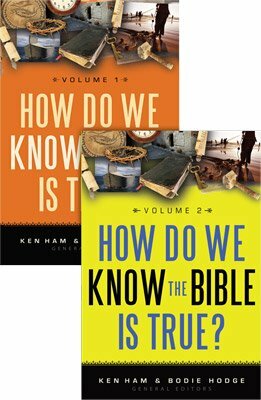 Bruce, F.F., The New Testament Documents: Are they reliable? IVP, Downers Grove, Illinois, 1960. Metzger, B., interviewed in Strobel, L., The Case for Christ, Zondervan, Grand Rapids, MI, 1998. Leonardo Da Vinci was a brilliant 15th century artist and technological genius, not a Bible scholar, and he is described in the book as a “trickster.” His curious painting displays artistic license, not necessarily biblical truth.